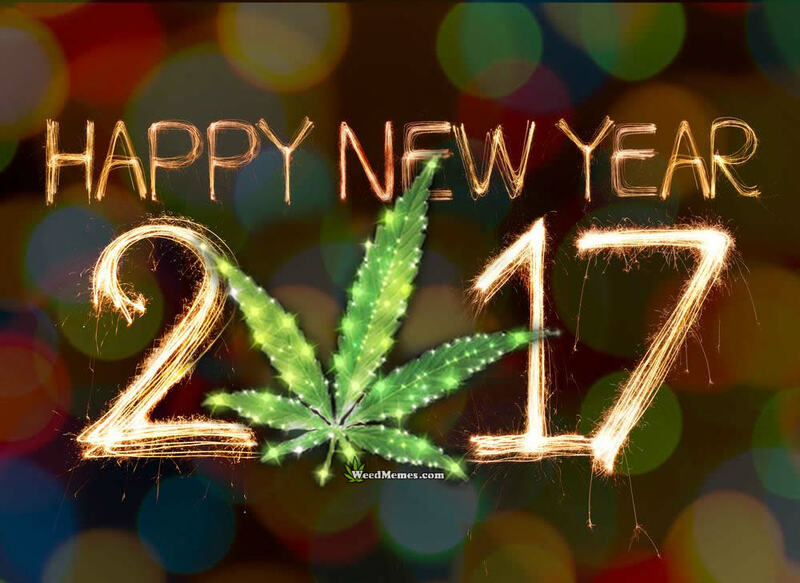 2017 was a big year for cannabis legislation. Below, NORML lists the top ten events in marijuana policy throughout the year. Sixty-four percent of US adults – including for the first time a majority of self-identified Republicans – believe that the adult use of marijuana should be legal, according to nationwide polling data published in October by Gallup. The percentage is the highest level of support ever reported by Gallup, which has polled the question since 1969. Gallup’s results came just two months after a national Quinnipiac poll reported that 61 percent of voters support adult use legalization – the highest percentage ever reported in that poll’s history. The legal cannabis industry is responsible for the creation of an estimated 150,000 full-time jobs, according to state-by-state data published in September by the content provider Leafly.com. The total represents a 22 percent increase in the number of full-time cannabis-related jobs created since 2016. States reporting the largest number of cannabis-related jobs were California (47,711) Colorado (26,891), and Washington (26,556). The enactment of statewide laws regulating the adult use and sale of cannabis is not associated with subsequent changes in traffic fatality rates, according to an analysis of traffic safety data published in June in the American Journal of Public Health. “We found no significant association between recreational marijuana legalization in Washington and Colorado and subsequent changes in motor vehicle fatality rates in the first three years after recreational marijuana legalization,” authors concluded. Another study published last year in the same journal reported that the enactment of medical marijuana legalization laws is associated with a reduction in traffic fatalities compared to other states, particularly among younger drivers. Liberal Party members introduced comprehensive legislation in April to regulate the use, cultivation, and sale of marijuana by those age 18 and older. Members of the House of Commons overwhelmingly approved the measure in November. The legislation now awaits action from the Senate. Liberal Party members have pledged to enact the legislation by summer 2018. A final report issued in November by a Presidential commission on opioids refused to acknowledge science establishing that legal cannabis access is associated with reduced rates of opiate use, hospitalization, and mortality. Members of the commission had received over 10,000 communications from the public urging them to consider the role of legal cannabis in addressing the opioid crisis. Patients use fewer prescription drugs in states where access to medical cannabis is legally regulated, according to data published in April in the journal Health Affairs. Researchers reported, “[T]he use of prescription drugs in fee-for-service Medicaid was lower in states with medical marijuana laws than in states without such laws in five of the nine broad clinical areas we studied. … If all states had had a medical marijuana law in 2014, we estimated that total savings for fee-for-service Medicaid could have been $1.01 billion.” The findings are similar to those of a 2016 study which reported that medical cannabis access was associated with significantly reduced spending by patients on Medicare Part D approved prescription drugs. Members of the US Senate in February confirmed the nomination of Republican Congressman Jeff Sessions as US Attorney General. As a member of the US House of Representatives, Sessions once supported the death penalty for certain marijuana offenders and stated publicly, “Good people don’t smoke marijuana.” As Attorney General, he has aggressively lobbied leadership to reject legislation protecting the rights of patients and providers in medical cannabis states from federal prosecution, and continues to mischaracterize as a substance that is “only slightly less awful” than heroin. Republican Gov. Phil Scott vetoed legislation in May that sought to eliminate criminal and civil penalties for the adult possession and cultivation of marijuana. However, a slightly amended version of the measure (S. 22) is likely to once again go before the Governor early next year – at which point he indicates his intention is to sign the bill into law. Vermont would be the first state to legislatively pass reforms protecting adults from both civil and criminal sanctions for possessing or growing small amounts of cannabis. Republican Gov. Chris Sununu signed marijuana decriminalization into law in July. The law took effect in September. Under the act, the possession of up to 3/4 of an ounce of cannabis and/or up to five grams of hashish by those age 18 or older is no longer criminal. New Hampshire was the only remaining northeastern state where minor marijuana violations were classified as criminal offenses. Use of the naturally occurring cannabinoid CBD (cannabidiol) possesses no likely abuse potential and should not be subject to international drug scheduling restrictions, according to recommendations issued in December by the World Health Organization’s (WHO) Expert Committee on Drug Dependence. “CBD is generally well tolerated with a good safety profile,” WHO determined. Michael King is an experienced professional with a background in finance, private equity, real estate and consulting. He is currently a principal in one of the leading Cannabis consulting firms in the country — Duard Ventures.